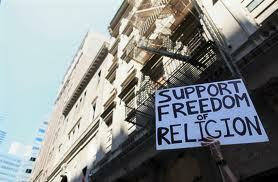 True tolerance doesn’t include the stifling of the religious voice on public issues. Many have questioned how U.S. citizens, who voted overwhelmingly for laws defining marriage as between a man and a woman, could abandon their loyalty to that institution. Society seems to under- value the proven benefits for children reared in families headed by father and mother. Declining public support for real marriage was influenced by partisan media, academia, Hollywood, and the Obama administration. “Political correctness” effectively hushed much opposition to the LGBT agenda. As Milton so successfully argued, we cannot count on laws and law enforcement to regulate the conduct of citizens. Truth requires freedom of knowledge. We need freedom in expression of ideas. Virtue is achieved by choosing between wide and tempting alternatives, not by force of censorship. Elder Oaks said: “Civilized society is held in place by obedience to the unenforceable. And it’s religion that teaches people to obey the unenforceable.” Battling both “political correctness” and denial of religious arguments in public discussion, we need to return to first amendment freedoms. Milton’s treatise is worth reading. To me, it compares to a classic symphony by Brahms. Let’s learn from the past, never assuming we are on “the right side of history” by denying the time-honored meaning of marriage. Marriage and families are worth fighting for; I wish success to our governor and attorney general to do so. Like Milton, we plea for tolerance, not stifling of voices in public issues. Mary Jane Fritzen is an 83-year old powerhouse and font of wisdom. She’s an articulate and dedicated supporter of the family. Mary Jane lives in Idaho Falls, Idaho.